In Nov. 2015 President Rod Diacon was happy to present this year's contribution to Saskatchewan Ablilities Council to continue the Draggins support of Camp Easter Seal. 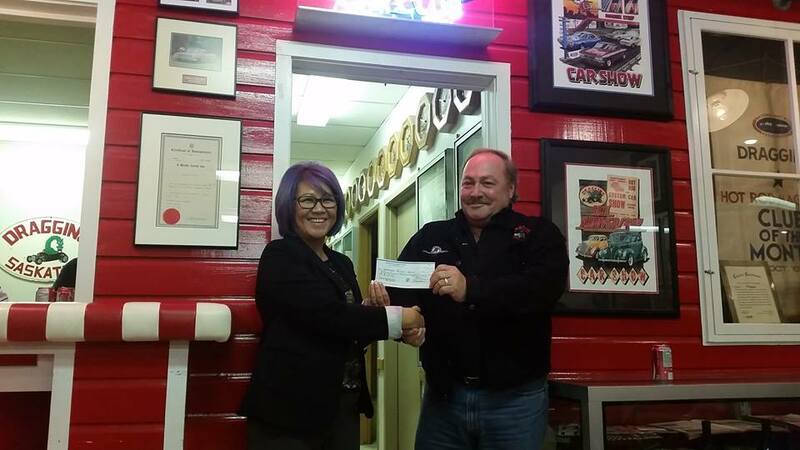 Camp Manager Su Huynh accepted the cheque of $40,000 on behalf of the Council & expressed much appreciation to the members.The evening closed with members enjoying the pizza the Council brought along. Thanks again!